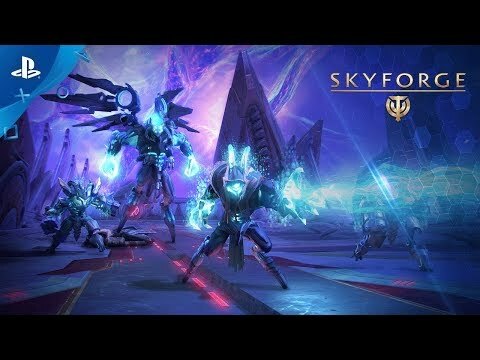 Become an immortal in Skyforge, a new free to play Action MMORPG set in the unique sci-fi/fantasy world of Aelion. Your home planet needs a guardian - one that fights back the invaders that are threatening your world. 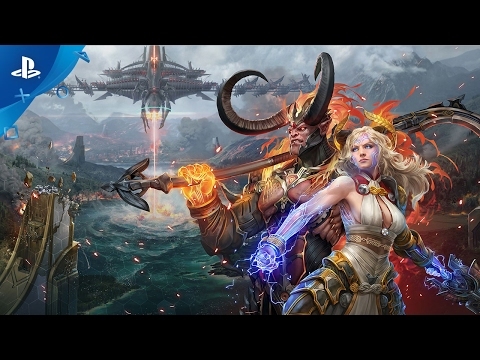 Use your gift of immortality to battle the never-ending invasions in action-packed combat. 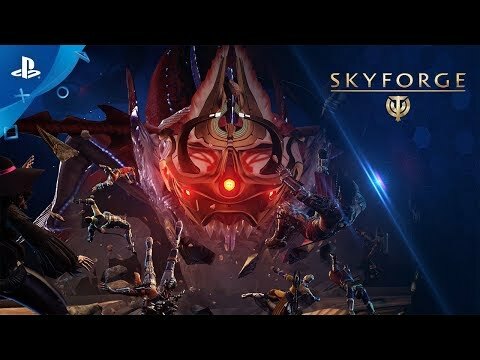 With 14 wildly different classes to choose from and a universe full of content to fight through and explore, Skyforge offers dozens of hours of adventures for all types of MMO players. 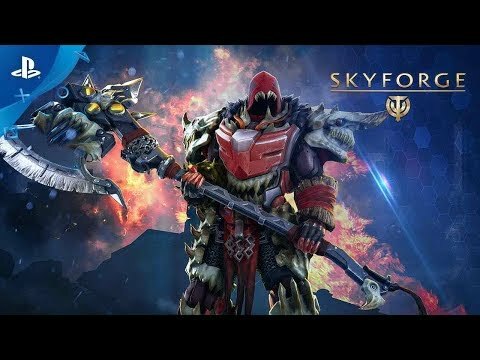 Introducing a brand new class - The Revenant - an ancient mighty warlord decimating foes with crushing blows from his axe. Siphoning the life from his enemies through shadow magic, his prey never stand a chance. Grind your axe, settle grudges, and wear your enemies as battle trophies. 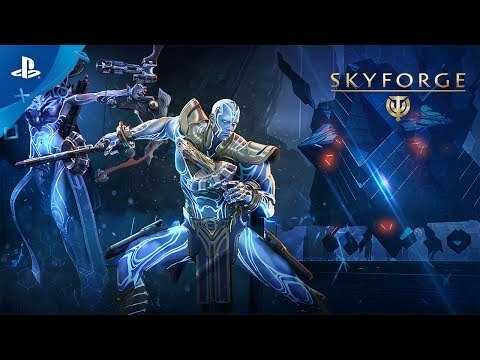 Get ready to play as this new class, because it releases on September 19! Get Your Release Pack Now! This pack contains various useful bonuses to help you get started in the World of Aelion. The cosmetic items contained within this pack are exclusively available as part of this offer. 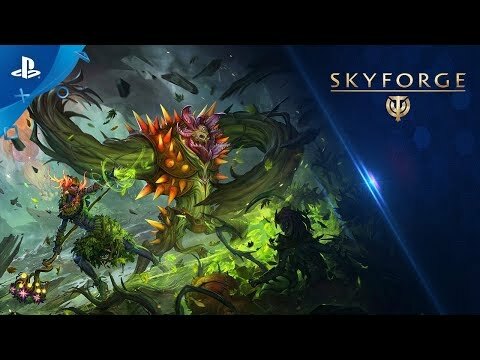 The Loremaster Pack is perfect for players who would like to experience the story of Skyforge without having to progress their character beforehand. The cosmetic items contained within this pack are exclusively available as part of his offer. The Collector's Pack includes attractive bonuses, such as access to the Knight and Alchemist classes, the special Night Squad costume and a unique Moah mount! The cosmetic items contained within this pack are exclusively available as part of this offer. Credits: Used to purchase a variety of items and to improve your character. Premium Subscription: Increases your rewards for finishing missions and provides other bonuses. Argents: A game currency used for many different purposes. Knowledge of Enemies: A valuable resource required to strengthen your character. Regeneration Substrate: Acts like a health potion and restores part of your health. 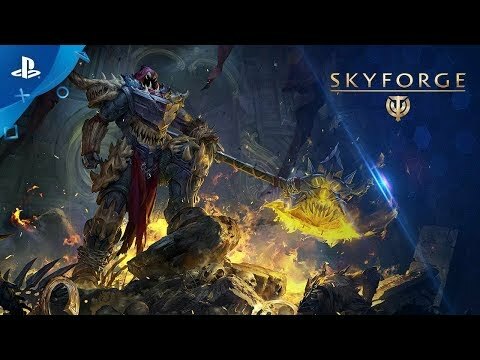 SKYFORGE is a new free to play Action MMORPG set in the world of Aelion. Surrounded by other planets, Aelion is under constant threat of invasion. These otherworldly conquerors have attempted to seize and enslave Aelion’s population, and eons of failed invasion attempts have left traces of strange alien technology and magic, transforming Aelion forever. Led by their great guardian god Aeli, the citizens have learned to use these technologies and magic against their invaders. Before his departure into realms unknown, the great god managed to share part of his life essence. 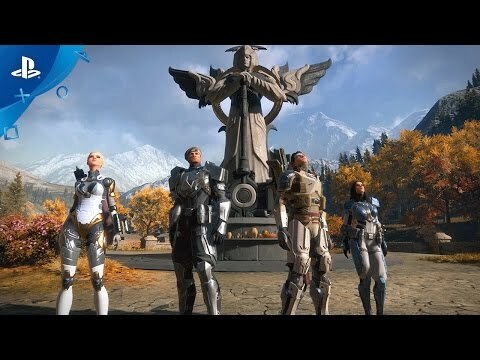 This power of immortality would be passed on to Aelion’s most worthy daughters and sons to forever protect his beloved planet. And you have been chosen. Creatures from the deepest oceans, reapers from the pits of fire, and lifeless machines from the coldest wastelands, all threaten the existence of Aelion and all of its inhabitants. Fight off the invaders to obtain new abilities and rewards! Combat the offworld invaders with devastating skill combos and dodge their merciless attacks. Learn new skills and unleash the fury of your DIVINE FORM. Collect equipment, fragments of armor, or parts of your enemies' bodies and turn them into dangerous weapons! Begin your immortal journey and choose between 14 unlockable and interchangeable classes. 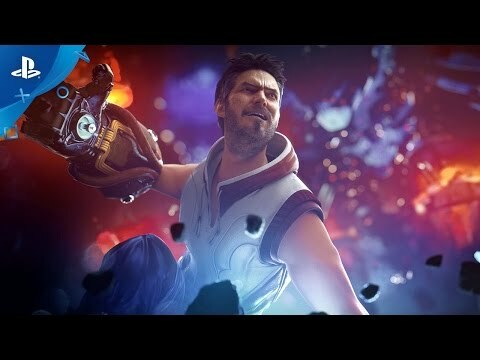 Be a sinister Necromancer or even a Gunner with a monstrous, transforming plasma cannon. The choice is yours! Unlock classes while you progress and choose whichever fits your playstyle! Obtain your DIVINE FORM by unlocking your ultimate abilities as a god and make the invaders rue the day they provoked your wrath! 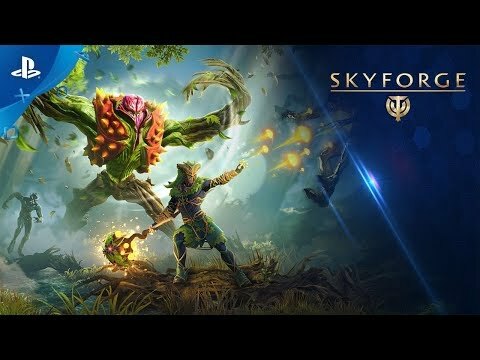 SKYFORGE contains hours of entertainment with a campaign mode, and unlimited hours in various PVE and PVP game modes, with over 100 locations to choose from. 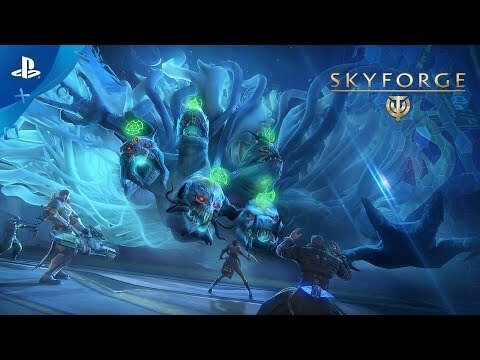 Group up with other immortals or fight solo. Play in open zones or short instances! Even the most dedicated players will find a vast variety of content available.